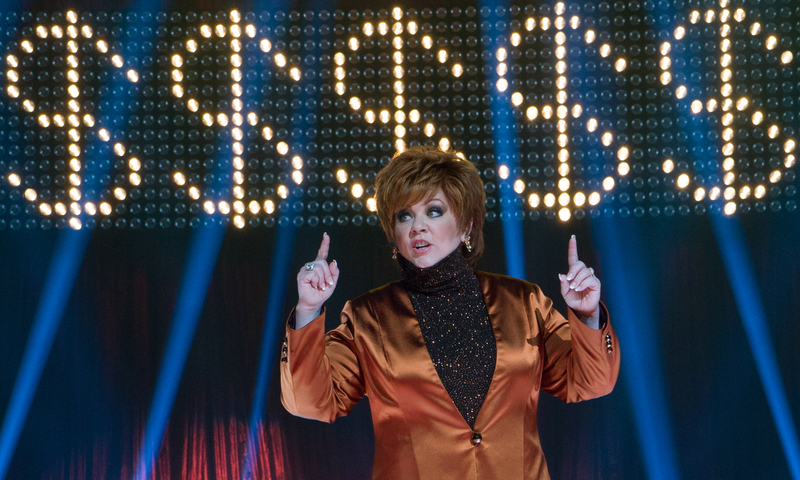 Melissa McCarthy must have one of the most hit or miss careers in recent years. She's starred in hit comedies like 'Bridesmaids', 'The Heat' as well as last years hit 'Spy'. On the other hand though we have some that really aren't so good. The likes of 'Identity Thief' and 'Tammy' have really left quite a negative impact on her status. It seems as if most of the movies are either great or terrible with no in between. And 'The Boss' is exactly the same. 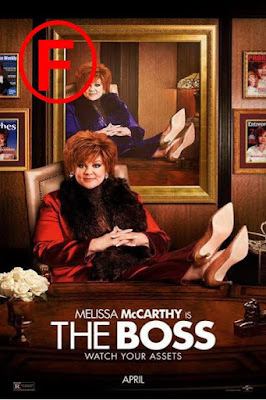 Michelle Darnell (Melissa McCarthy) is the 47th wealthiest woman in America until she's busted for insider trading leading to a jail sentence. Broke and hated, Darnell looks to old worker Claire (Kristen Bell) who reluctantly helps her out. After being given the task to take Claire's daughter to her scouts meeting, she comes up with a plan to build a brownie empire. Many rivals, old and new stand in her way as she looks to get back to the top. Unfortunately for audiences, McCarthy's latest film is an abomination. This is supposed to be a comedy yet I have seen thrillers with more laughs in them. If you have seen McCarthy's previous films then you know exactly what you are going to get. However this time it seems like it's one too many as it fails miserably this time. The jokes in this are absolutely terrible. I don't think I've sat through a more painful start of a film this year where McCarthy and Cedric Yarbrough have one of the most unfunny and terribly acted scenes. In saying that though McCarthy isn't completely terrible. She does what she does in every film and I think that you can see that the quality in the writing just wasn't there at all to allow her to shine. Co-star Kristen Bell also doesn't do terribly as a single mum who just looks to provide for her daughter. The two don't do a good job in the film but compared to some other performances, they were like Daniel Day Lewis. 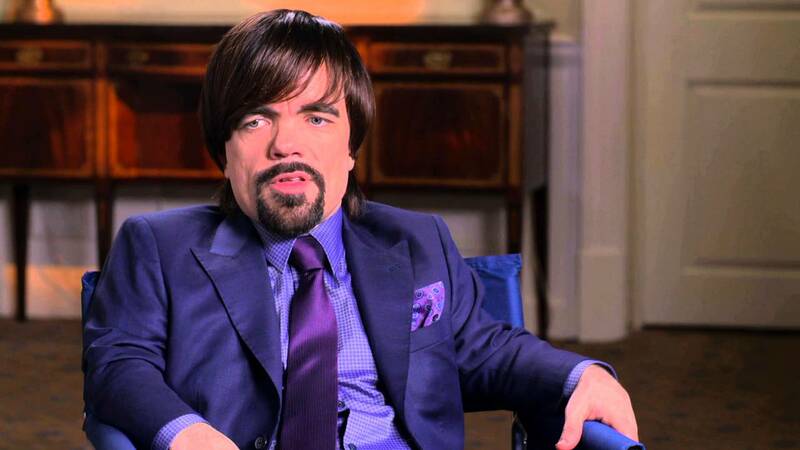 'The Boss' features the single worst performance I have seen in a movie this year and unfortunately to you 'Game of Thrones' fans out there, it came from Peter Dinklage. I have absolutely no idea to who thought that this character would've been entertaining or funny. For this to have came from such a talented actor as well, it makes it hurt even more. I guess the director and the writers have to take a lot of blame for this due to creating this monstrosity. The previously mentioned Cedric Yarbrough was also terrible in this film but thankfully he didn't appear after the first ten minutes. Claire's boss played by Cecily Strong also puts in a terrible performance which isn't helped by the awkward pauses in her scenes that don't do anything but make the film worse. I really could go on with the list of performances that really helped the demise of this film but there is just far too many of them. I'm really struggling to think of anything good about this film. When I realised that the film still had over half an hour left, it saddened me. The movie is horrible to watch and really isn't worth your time. A comedy is supposed to make you laugh and 'The Boss' fails miserably at this. The worst film I have seen this year. So have you seen 'The Boss'? If so what did you think of it? If you choose to go and see it, 1. I hope you reconsider and urge you not to waste your time. And 2. I certainly hope that you enjoy it more than I did which isn't hard. Once again, thank you for reading my review, it is much appreciated!